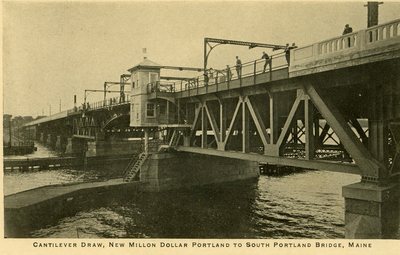 "Portland's Million Dollar Bridge Postcard "
An image scanned from a postcard identified as Cantilever Draw, the new million dollar Portland to South Portland bridge in Maine. Published by the Hugh C. Leighton Company in Portland, Maine. No date.